For the finest custom kitchen cabinets for your home in Tampa, Westchase, or Lutz, Florida, turn to KitchenAlity. Our firm was founded primarily on the basis that most cabinetry installed by kitchen remodeling contractors in the area is subpar. We sought to establish relationships with the best names in the cabinetry business, to provide their custom products, and to beautify kitchens for homeowners across Tampa Bay. The possibilities for new kitchen cabinets are virtually endless, and we’ll be happy to bring your dreams of custom cabinets to life. Don’t just turn to KitchenAlity for new custom kitchen cabinetry, though. 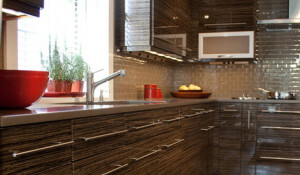 You can turn to us for all of your kitchen redesign and remodeling needs. We proudly offer a full suite of services, including countertop replacement, new floor installation, wall and soffit removal and construction, and so much more. If you can imagine it, we can make it a reality for you. And, we’ll ensure that your new kitchen has a personality to it that reflects your own style. If you’re interested in learning more about the custom kitchen cabinets we offer to homeowners in North Tampa, South Tampa, Lutz, Westchase, FL, and other communities in the area, please contact us today. When you do, we’ll schedule an in-home meeting for you with a kitchen designer from our team.